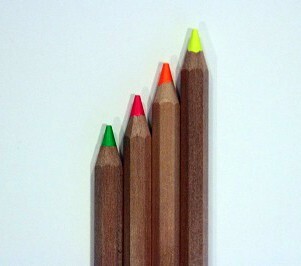 Study like a champ with these large non-toxic, voc free highlighter pencils. No more bleeding through the paper. Green Apple Supply.